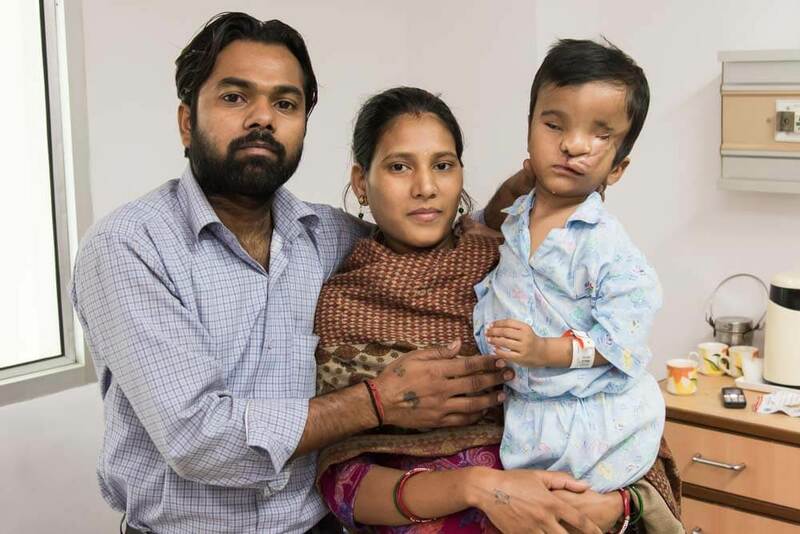 Prince was born two years ago with an anatomical anomaly including the lack of an eye socket and bone structure on the left side of his face, a cataract in his right eye and a cleft lip. Despite being blind he plays with his friends and loves to listen and dance to music. He recognizes people by their voice and calls to them, especially his parents Priyanka and Sachin. They live in Delhi where they operate a sari shop and heard about the Rotaplast mission from a neighbor. Prince will need multiple surgeries for incremental improvements. 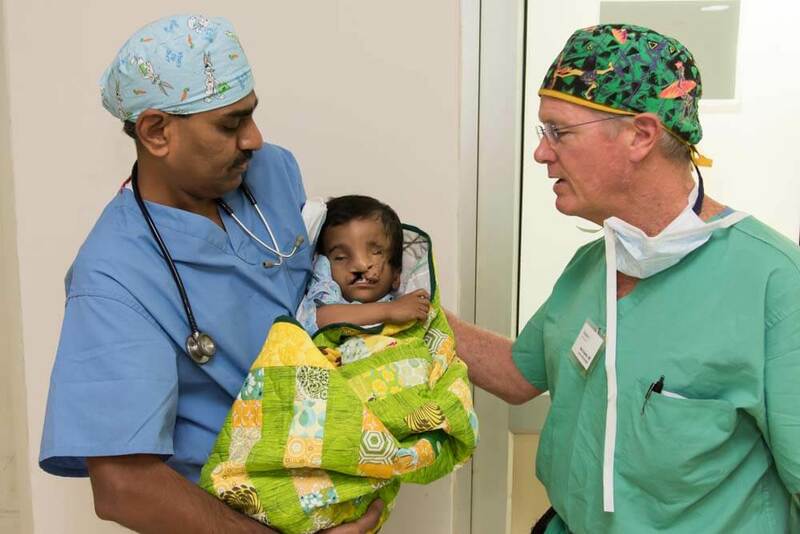 Thanks to Rotaplast, he began with the repair of his cleft lip. In the future, cataract surgery should result in giving him sight. Priyanka is expecting their second child soon, a brother or sister playmate for Prince. Anesthesiologists, Drs. Raj Nagappala and Mark Singleton, carry Prince in for his surgery.